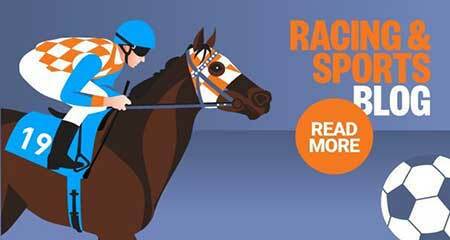 Presently, Palmerbet is offering to match your first deposit with bonus bets up to $250.00. So whatever amount your first deposit is, Palmerbet will match it with bonus bets up to $250.00. In order to qualify for the full $250 bonus, it is necessary to deposit at least this amount first off - $250.00. For example if you deposit $100.00 they will give you a free bet of $100.00. If you deposit $250 they will match that with $250 giving you $500 to bet with. The $250 bonus can be used on any market, unlike those of some bookmakers that are restricted to racing. Get It Here. We really like the website for its appearance and functionality. It is simple and uncluttered, without garish colours or an inordinate number of distracting animated graphics. One particularly attractive feature is that when a race is selected, an accurate list of upcoming races is shown to the left of the odds, making it easy to toggle betwixt races effortlessly. There are mobile applications for iOS and Android devices. Placing bets on horse, harness, Greyhound racing and All Sports is very quick and very easy Palmerbet with there new and simple to use interface. Give the mobile site a try, you wont be disappointed. Click Here To Join! The Palmerbet mobile site is designed for use by most smart phones including iPhones, Blackberry, HTC etc and you will need a mobile internet connection WiFi or 3G. Other phones will work but your viewing experience may be hindered if your screen is small effecting screen resolution. There are six options for funding an account. These are Visa and MasterCard, Moneybookers, personal cheque, bank wire transfer, BPAY and POLi. Withdrawals can be via bank wire transfer, Moneybookers, BPAY and PayPal. Turnover requirements on deposits and any initial or further bonus credits is 1x. There are no dormant account fees or transaction fees on deposits or withdrawals. Bookmaker margin is 4.8 percent, slightly below the average of 5.1 percent. Palmerbet has a more than adequate number of markets, with a focus on Australian sports. Where racing markets are concerned, all codes are covered for events for all the United Kingdom countries. There is no lack for bet types. As with all Australian bookmakers, live betting is by telephone only. Palmerbet Credit Facility Palmerbet » » does extend credit, up to $5,000, for anyone with adequate credit references. It should be noted that extreme caution is dictated when wagering with borrowed money is involved. They offer all types of bets including Win, Place, Quinella, Trifectas, Quadrellas, Fixed Price, SP Price, Top Fluctuations, Early Bird, Future Betting, Jockey Challenge, Live Betting and more. Best Tote — Best Tote will guarantees punters a better win dividend than any of the 3 Australian TABs on metropolitan racing in Sydney, Melbourne, Adelaide Brisbane and Perth. Exotics Betting — Palmerbet also offers you Exotics Betting including Trifectas, Quinellas, Doubles, Quadrellas, Trebles, First 4 and more. Great Weekly Promos — Palmerbet are very generous with its free promotions to new and current members. They often give out specials every week where you can obtain better odds, better bonuses and free betting packages on all sports and racing. Betting on all Racing and Sports Local and International — Palmerbet offer betting on all racing and sports all over the world, including Racing, AFL, Soccer, Baseball, Basketball, Grid Iron, Cricket just to mention a few. Top Flux — Palmerbet offer all clients Top Flux Betting: This is the best price bet by the course bookmakers at the meeting you are betting at. Palmerbet is an excellent choice for anyone who would like to test the waters (unintentional pun) without a huge degree of risk. Low minimum deposits and wagers are the primary reasons for this assessment. The betting selection is excellent for beginners and veterans and the website is smooth and intuitive. So why not join one of the best and most reliable bookmakers in Australia.